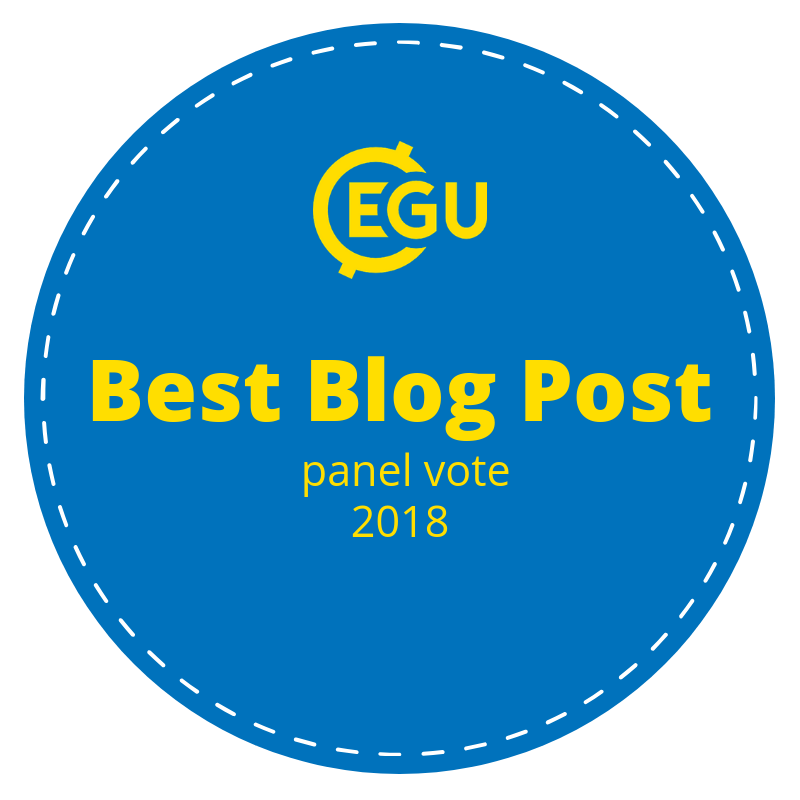 We have a busy year ahead of us, helping to put sustainable development at the heart of geoscience events, training and practice, and advocating for the importance of geoscience in tackling global challenges. Here’s an overview of our plans, and some highlights from 2018. INSPIRATION. Promote the value of geology in supporting sustainable development. EDUCATION. Equip geologists to engage positively in sustainable development. ACTION. Enhance the application of geology to international development. LEADERSHIP. Exercise international leadership on matters relating to geology and sustainable development. Geology and the SDGs Briefing Note. 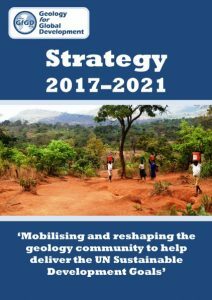 Co-published with the Geological Society of London and British Geological Survey, this note aims to raise awareness in and outside of the geoscience community of how geoscientists can help deliver the SDGs. Enhancing Earth Science Education to Support Sustainable Development Paper. This article was commissioned to inform an international report on Education for Sustainable Development Practice, setting out key priorities for the next decade. The report will be published in early 2019. University Groups. We continued to give support to our network of ~12 University Groups in England and Scotland, including preparing a resource book to help guide their work and those planning to establish new groups. 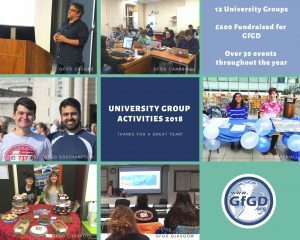 Our groups had a fantastic year, organising over 30 events through 2018. Presentations on Geoscience for Sustainable Development. We attended key events in Ireland (Irish Early Career Geoscientists Symposium, Galway, January 2018) and the United Kingdom (Herdman Symposium, University of Liverpool, February 2018), and discussed the future of geoscience in the context of delivering the SDGs. We also outlined our work at the international Resources for Future Generations conference. 6th Annual Conference (Water and Sustainable Development). Hosted and supported by the Geological Society of London, this event gathered 120+ people, with approximately 80% of these being early-career geoscientists. The event was opened by a UK Government Minister (Lord Duncan of Springbank), and included speakers from industry, civil society and academia. Diverse case studies from around the world were presented, with a particular emphasis on Tanzania. 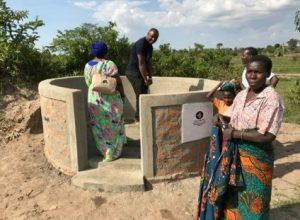 We welcomed Benedicto Hosea, from Tanzania, and The Eleanor Foundation team to talk about their work towards Sustainable Development Goal 6 (water and sanitation) in Tanzania. UN Science, Technology and Innovation Forum on the SDGs (UN HQ, June 2018). This forum discussed the science required for “transformation towards sustainable and resilient societies”, including SDGs 6 (water and sanitation), 7 (energy), 11 (sustainable cities), 12 (responsible consumption and production) and 15 (life on land). Given our leadership on geoscience and the SDGs, we made it a priority to attend and ensure a clear voice for geoscience at the heart of global development decision-making. Read more. New Partnerships. We became an affiliated organisation of the International Union of Geological Sciences, and signed a partnership agreement with the Liverpool Geological Society. Geoscience and Society Summit (Stockholm, Sweden). We are a partner organisation at this innovative summit, with dialogue focused on effective cooperation between scientists and users of scientific information to tackle global and local challenges around sustainability of natural resources and systems, global health, and resilience. Find our more and register here. 3rd International Critical Metals Conference (Edinburgh, UK). We are supporting this conference, organized by the Mineralogical Society’s Applied Mineralogy Group, bringing together researchers working at different stages along the life cycle of critical metals. Session themes will include the geology and resources of critical metals, raw materials for the decarbonisation of energy and transport, and life cycle analysis and ethical sourcing of critical metals. Read more and submit your abstracts! Water Resources in Tanzania. We will be funding an MSc research project at Cranfield University to be conducted in Tanzania with The Eleanor Foundation. This work will evaluate the sustainability of an established water programme, and provide recommendations for future work. We will also facilitate a round table meeting in the UK focused on delivering SDG 6 (water and sanitation) in Tanzania. 7th GfGD Annual Conference. Our next annual conference is scheduled for Friday 15th November (save the date!). We’ll be announcing more details early in 2019. Guatemala. We’re currently working with partners in Guatemala to design a programme that helps strengthen resilience to volcanic hazards. In 2018, we conducted interviews with key participants in Guatemala. Further progress will be made on this project in 2019. UN Science, Technology and Innovation Forum on the SDGs. We hope to secure funding to lead a delegation of geoscientists to the 4th UN Forum on Science, Technology and Innovation for the SDGs, championing the role of geoscience in SDGs 4 (education), 8 (decent work and economic growth), 10 (inequality), 13 (climate), 16 (strong institutions), 17 (partnerships). Conference Bursaries. We will support student attendance at key geoscience or development meetings, particularly looking for opportunities to facilitate engagement by students in low-income countries. Engaging with Industry. We’re eager to work with the whole geoscience community, mobilising their expertise to help deliver the SDGs. In 2019 we will set up a working group to explore how to work more with geoscience professionals in the private sector. Follow our social media (Facebook and Twitter) to hear about ways to get involved in our work, and volunteer your time and expertise. We believe that our work can help to reshape the geology community, building a sector equipped to serve communities around the world. We’d love your support – read more about the ways you can help us on our ‘donate’ webpage.